NIH-funded study shows clinicians reduced prescriptions following behavioral "nudge"
Clinicians were more likely to reduce the number and dose of opioid drugs they prescribed when they learned that one of their patients had died from a controlled substance overdose than those clinicians who were not notified of the deaths, according to a recent study. Results appear in the August 10 issue of Science. The study was funded in part by the National Institute on Aging, part of the National Institutes of Health. Jason Doctor, Ph.D., of the Schaeffer Center for Health Policy & Economics at the University of Southern California, and colleagues found that physicians who received a letter from the chief deputy medical examiner informing them of the overdose death of one of their patients reduced the number and dosage of opioids prescribed by 9.7 percent in the three months following the intervention. The research team identified 861 clinicians in San Diego County in California. Between July 1, 2015 and June 30, 2016, San Diego County reported 222 deaths for which Schedule II, III or IV drugs were the primary or contributing cause. Of these, 170 deaths were listed in the Controlled Substance Utilization Review and Evaluation System (CURES) database. The prescribing clinicians were divided into an intervention (388) and a control (438) group. The research team noted that, while the results of this study may not be applicable to a larger population, the intervention is scalable at the county level. Each county reports prescription opioid deaths to the National Center for Health Statistics. 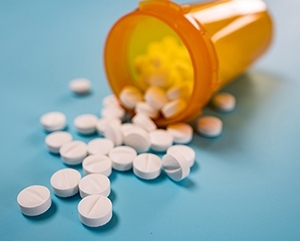 Along with the state’s vital records death file and the drug monitoring program that tracks prescriptions to decedent, counties and states can encourage safe prescribing by clinicians. About the National Institute on Aging: The NIA leads the federal government effort conducting and supporting research on aging and the health and well-being of older people. The Institute’s broad scientific program seeks to understand the nature of aging and to extend the healthy, active years of life. For more information on research, aging, and health, go to the NIA website.